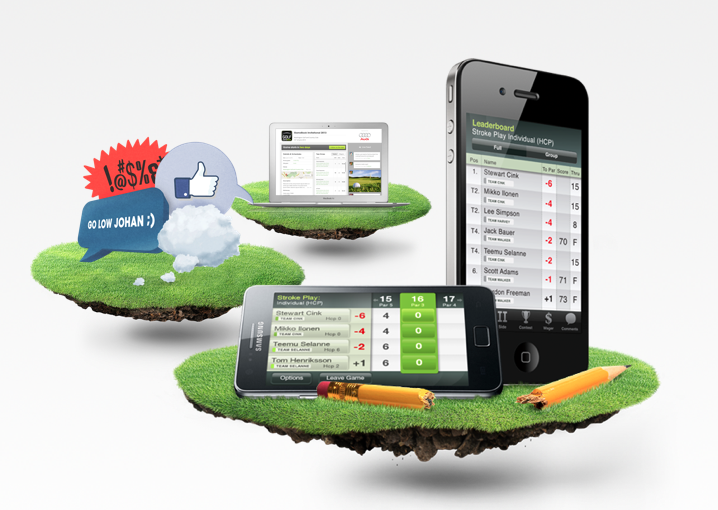 There is much more to GameBook than just the app… Are you already familiar with the online services? I finally got to go back out there and play some golf this week and it was great! I didn’t play a whole lot better than previously, but the weather was really nice. The fall is definitely coming and lately it has been raining a lot here in Finland, so I really enjoyed the sunshine we had. Even though I’ve been playing again, I thought I would write less about the app this time and say a few words about the the online services of GameBook that have recently been upgraded. During the past couple of weeks it has dawned on me that GameBook is much more than just the app. It’s a whole universe of golf fun! Have you already heard what’s going on online? Here’s my take on it. Personally I don’t have experience of the previous version of GameBook’s online services, so I can’t really make any comparisons between the old and the new. The new version looks pretty much like any other social media service – and functions like the rest of them as well. That is probably why the online service has felt like the most familiar part of GameBook to me ever since I started using it. Like in any other social media, you have your own profile page. In GameBook it is called My GameBook and it functions as an online clubhouse. That means it’s a place where you can hang out after your rounds, analyze your game and chat with your friends. The only thing this online clubhouse can’t really offer is the delicious food and cold drinks! To me My GameBook has been the best part of the whole experience. Unfortunately I’ve also gotten the feeling that it’s also a part that isn’t too well known among the users. So it might be good to remind all of you out there that GameBook is not just the app, but much more. The GameBook family. There’s the app and the online services plus you can always share your golfing experience on other social media platforms as well. Besides the social pleasures of the online clubhouse, GameBook’s online service also offers Game Manager – a tool for creating your games. It’s been said to be your own tournament director all free of charge. It’s easy to create a game for you and your friends using the GameBook app on your smartphone, but I think it’s even more convenient to do it online. The online Game Manager comes in handy especially when you are managing a larger number of players. So if you have only been using the GameBook app so far, I warmly recommend you check out the online service as well. Since I wasn’t able to download the app on my own smart phone (the app is not available for Nokia phones yet), I have mostly been using the online services. If you are not able to take the app with you to the course but would still like to record your scores and follow your stats, the online service can help you. It allows you to create a game and record the results during or even after the game is played – hopefully better played than my rounds lately!